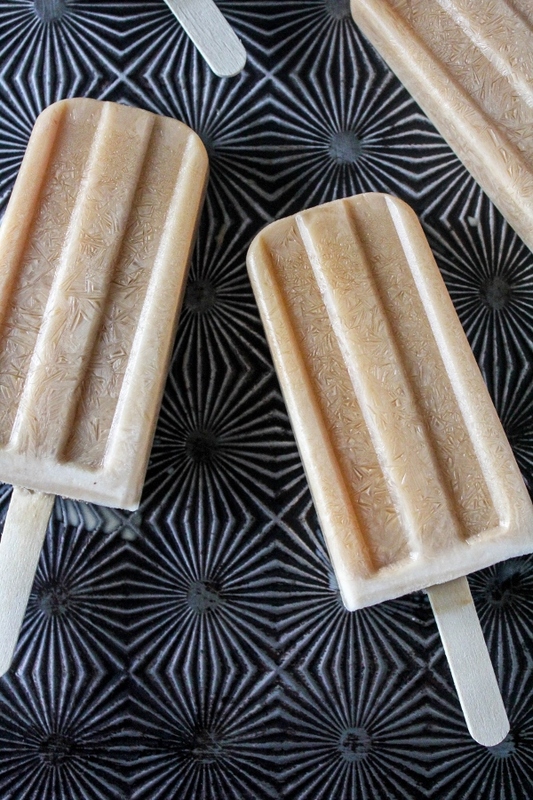 Cool off from the heat and get a midday pick-me-up with these Mocha Cappuccino Pops! Creamy and delicious, they are the perfect summer treat! It has been ridiculously hot here lately. Like, so hot for Michigan at the beginning of July. And not just hot but humid too. You could cut the air with a knife it's been so thick. It's gross! I find myself almost biting my tongue when I complain because I couldn't wait for summer to get here. I was whining about the cold during winter, now I'm whining that I'm too hot. Something is wrong with me! 😂 Trust me when I say that the first time it snows I'll be wishing for this hot weather again. To combat this heat and humidity I've been eating my weight in frozen treats. What's better on a hot summer day than a big bowl of ice cream or an icy cold popsicle? Not much in my opinion, and it's even better when those treats are homemade! 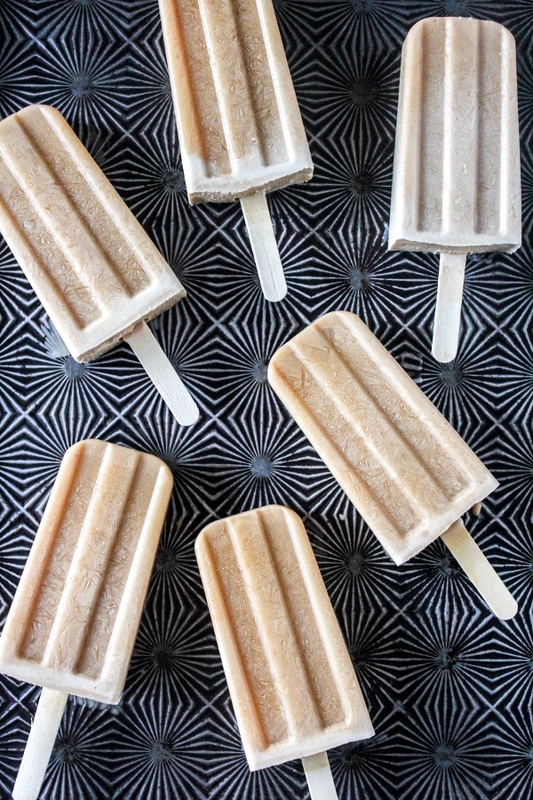 These Mocha Cappuccino Pops are cool and creamy and made with just a few simple ingredients. 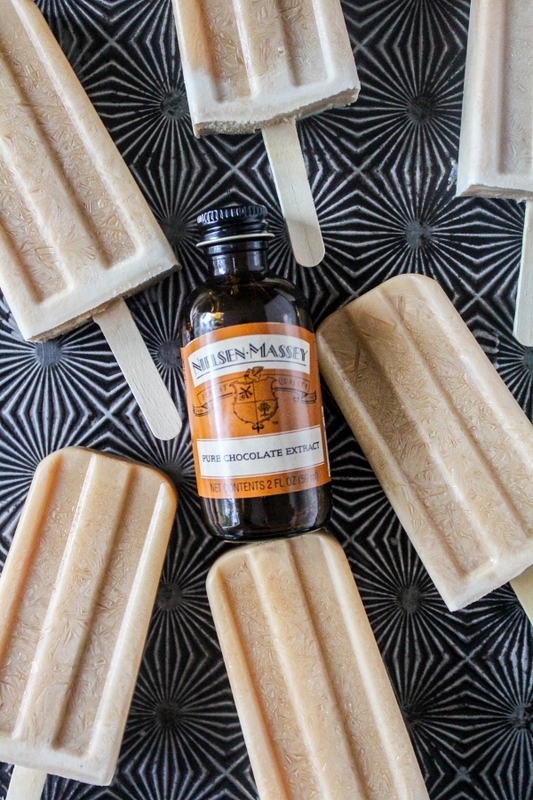 The combination of coffee and Nielsen-Massey Pure Chocolate Extract give these pops the most amazing flavor! Nielsen-Massey pure flavor extracts are a great addition to so many summer recipes. Founded in 1907, they remain a family company, owned and operated by the 3rd generation of Nielsens. All of their products are all-natural, certified gluten-free, certified Kosher, allergen-free and GMO-Free. That is a company that I can totally get behind! The Pure Chocolate Extract is crafted from the finest cocoa beans and is perfect for adding rich and flavorful layers to any recipe. You can add it to a wide range of dishes, including beverages, desserts, sauces, chilis and even spicy foods! Get some ideas for uses and pairings here. In a large measuring cup, combine the coffee, milk, sugar, and chocolate extract. Whisk well until completely combined. Allow the mixture to cool to room temperature. Divide the coffee mixture evenly among the ice pop molds. Cover and freeze until solid, at least 4 hours. 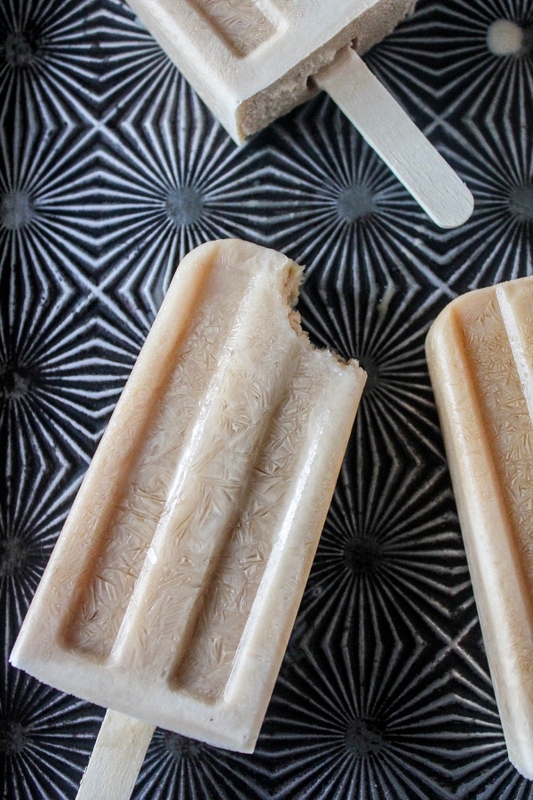 If using an ice pop mold with sticks, allow the pops to freeze partially, about an hour, then insert the sticks. Freeze until solid, at least 3 more hours. Store pops in an airtight container in the freezer. To learn more about Nielsen-Massey and get recipe inspiration, follow them on Instagram, Facebook, and Twitter!